Deercroft Golf Club has been called the sleeper of the Sandhills since opening in 1983. Due to its location, being off the beaten path, Deercroft does not get the attention some of the courses in town receive. However, once golfers journey south on 15-501 they stumble on a course that has been well received by golfers for years. 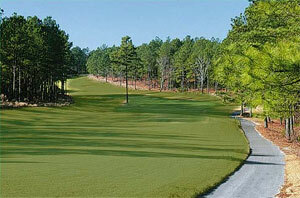 The golf course is very similar to others in the greater Pinehurst area. The greens are bent grass and fairways are Bermuda. Most of the holes are lined with large long needle pine trees which really shape each hole as if it were carved through a forest. 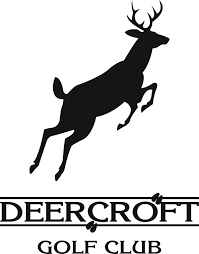 Deercroft would be described by most golfers as being tight with little margin for error once off the fairways. The general terrain is rolling with some uphill and downhill shots. There are two sets of men’s tees (whites and blues) and one set of ladies tees (red) so most any golfer can find a distance that is compatible with their game. Golf Digest has described Deercroft as the “best kept secret in the Sandhills” and awarded a three ½ Star Rating in their “Places to Play” guide. A championship golf course, the Bermuda fairways and Bent greens offer an enjoyable and challenging round of golf. Deercroft has been ranked in GOLFWEEK’S top 50 courses for five straight years and has hosted the 1986 and 1987 PGA Tour Qualifying Schools.